Nashville Vision Associates is a comprehensive practice offering highly trained and skilled Ophthalmic Surgeons that specialize in primary eye care for the whole family. From the latest in cataract surgery, diabetic eye care, glaucoma treatment, to the fitting of contact lenses, Nashville Vision Associates is your first line defense for preserving, maintaining, and restoring your precious vision. Doctors Bounds, Scott and Taylor perform cataract surgery using the state-of-the-art small incision technique and a variety of implants that are marketed today. Our surgeons offer both standard and premium cataract lens implants. The Acrysof Restor lens is a multifocal lens implant to improve both distance and near vision. The Acrysof Toric lens is available to lessen astigmatism. Your doctor will discuss what options might be a good fit for you. Not everyone is a good candidate for these lenses and they are not covered by medical insurance. Cataract surgery is conveniently performed next door at St. Thomas Surgicare, a state of the art outpatient surgical facility. You can learn more by reading about Cataracts on our Cataract Surgery and FAQ pages. Our physicians treat all types of eye disease including glaucoma, diabetic retinopathy, and macular degeneration. We provide on-site diagnostic testing, laser therapy, and surgical treatment. 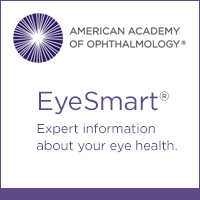 You can learn more about diseases of the eye by visiting the American Academy of Ophthalmology website. Acute injuries of all degrees are managed by all of the physicians. Our proximity to St. Thomas Hospital aids us in being prepared for needed interventions. However, most ocular injuries can be managed in our office. Our doctors treat patients beginning at school age to senior adults. We strive to perform a thorough medical examination, make accurate diagnoses, and provide excellent care in a timely manner for each individual. In order to examine your eyes appropriately, please allow approximately 90 minutes for a full medical examination. The exam includes medical history, visual acuity, pupil dilation, visual testing for glasses (refraction), as well as an evaluation for glaucoma, cataracts, and retinal diseases. To thoroughly examine the back of your eye to detect any problems or diseases, your pupils will be dilated. This may cause your near vision to be blurred or light sensitive for about two hours. If you are driving, dark sunglasses will be provided. If you think driving might be difficult, please bring someone with you. Most patients do drive themselves without a problem. Please see our Patient Info page for a list of items to bring to your appointment. At Nashville Vision Associates we fit and sell many types of contact lenses. Please click here to download our Fitting Appointment Policies and Expectations. This form must be signed and accompany you to your fitting appointment. You can order contacts here.